This position functions as a working supervisor, overseeing the daily operations within the evidence room and crime scene functions. This position organizes the day to day operations of the property room and response to crime scenes. This position also ensures adherence to best evidence and crime scene practices, as well as all laws, guidelines and procedures that govern those areas. Supervises Police Property Room and Staff. Oversees daily operation of property room, including maintaining staffing schedules, monitoring performance, training and mentoring of staff. Receives incoming property and evidence in a timely manner, stores and disposes of evidence and property in a manner that safeguards from deleterious change and cross-contamination while maintaining chain of custody. Enters data into the computer; preparing, logging, and submitting court orders for legal signatures, and preparing, copying, and submitting documents for cases requiring an appearance in court. Conducts research and destruction duties by obtaining disposition, preparing a court order for disposal, submitting the order for signature, pulling the property from shelving, and either destroying the property or preparing it for auction. Assists with the auction by preparing property for sale. Oversees the crime scene section functions to include the training program, quality assurance program, scheduling of personnel. Responds to crime scenes to perform the functions necessary to properly document the scene and collect critical evidence to support investigations. Testify in court as required. 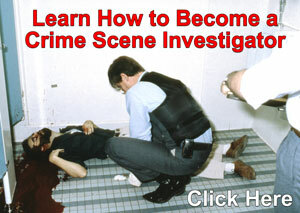 Train personnel in evidence and/or crime scene procedures and functions. Thorough working knowledge of City ordinances and state and federal laws. Ability to understand detailed written and verbal operating procedures and instructions. Ability to establish and maintain professionally effective working relationships with prosecutors, judges, co-workers, other law enforcement personnel, EMS and fire personnel, the general public, and representatives of state, federal, and local government agencies. Ability to remain calm, make sound decisions, and respond appropriately during stressful situations and under adverse conditions. Good communication (verbal and written) skills. Two years of experience working in a crime scene or police evidence capacity. 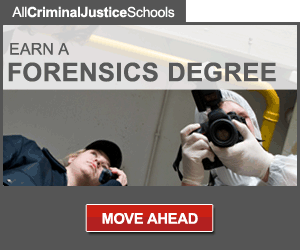 Bachelor’s degree in criminal justice or related field. Experience can be substituted for education up to four years. Latent print analysis experience is preferred.